One of the finest writers at work in a country rich with excellent writers - Canada - Miriam Toews makes this welcome Elliott Bay return to read from her harrowing new novel, Women Talking (Bloomsbury). This is a book with power. “An astonishment, a volcano of a novel with slowly and furiously mounting pressures of anguish and love and rage. No other book I've read in the past year has spoken so lucidly about our current moment, and yet none has felt as timeless; the always-wondrous Miriam Toews has written a book as close to a Greek tragedy as a contemporary Western novelist can come.” – Lauren Groff. 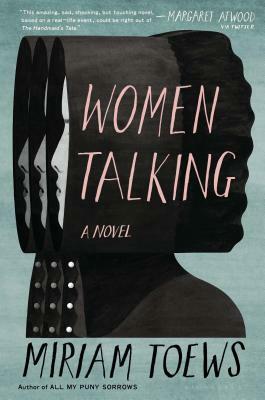 “Women Talking wants another world to be possible, and in the re-scripting of reality into fiction, attempts to imagine it where it has not yet grown of its own volition...The novel reminds us how difficult it is to know how to live, forgive others or ourselves, seek justice, or know freedom. No matter the depth of their solidarity, we can imagine that each individual will undoubtedly spend a lifetime coming to their own answers, seeking knowledge with their own hard-won words...” – Madeleine Thien.